Matrix metalloproteases (MMPs) include a group of enzymes important in the degradation of components of the extracellular matrix (ECM) and are thought to be universally related to pathology. 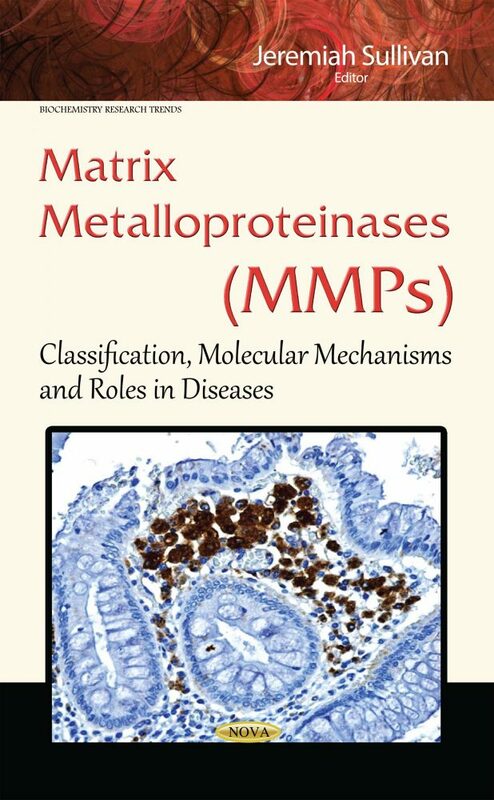 This book examines the relationship between matrix metalloproteinases (MMPs) and oral pathologies, including oral squamous cell carcinoma and separately, atherosclerosis. The molecular mechanisms regarding MMPs activation and the use of MMP inhibitors as an effective treatment in animal models of hypertension are reviewed. The status of MMPs and their regulators with infectious diseases of bacterial and protozoan origin that invade host through mucosal surfaces are explored. Finally, a clinical point of view is provided for the association between MMPs and bowel diseases. Mucosal Barriers, MMPs and Infectious Diseases: Conflict or Resolution?